On November 10th, the Korean Government revealed the decision to build another airport on Jeju Island by the year 2025. This revelation came as a huge shocker for the Jeju islanders, who had no say in the decision-making process. Residents of On-Pyeong-ri were particularly outraged to learn that 70% of the new airport will be situated in the heart of a spiritual farming area. Its spiritual aspect comes from the location’s proximity to Honinji, a historically important and spiritually sacred site. To many locals, Honinji is where farming and agriculture began during the mythological times, and for this reason, it serves as one of the most important heritage sites in Jeju Island. Of course, the area has modern relevance as well with farming. Today, On-Pyeong-ri still stands as a farming community marked by peace and serenity. All that is about to change however. Residents worry that infrastructural developments will bring great disruptions to the neighborhood, such as noise pollution. But that’s the least of their problems. Go Seung Chun, the head of On-Pyeong-ri, claim that the new airport will “force the residents to lose everything.” People will be forced to relocate to another place in Jeju, and the compensation will barely cover the lifestyle changes. “How will they create a new life with just that money?” he asks. What’s interesting and relevant for the Gangjeong people is how this entire situation is already starting to mimic events in the past that struck the Gangjeong Village. From the beginning, this development decision was entirely undemocratic, a trend that any politically-aware citizen should be aware of. Another parallel is that the development will fragment the community, like what happened to Gangjeong. 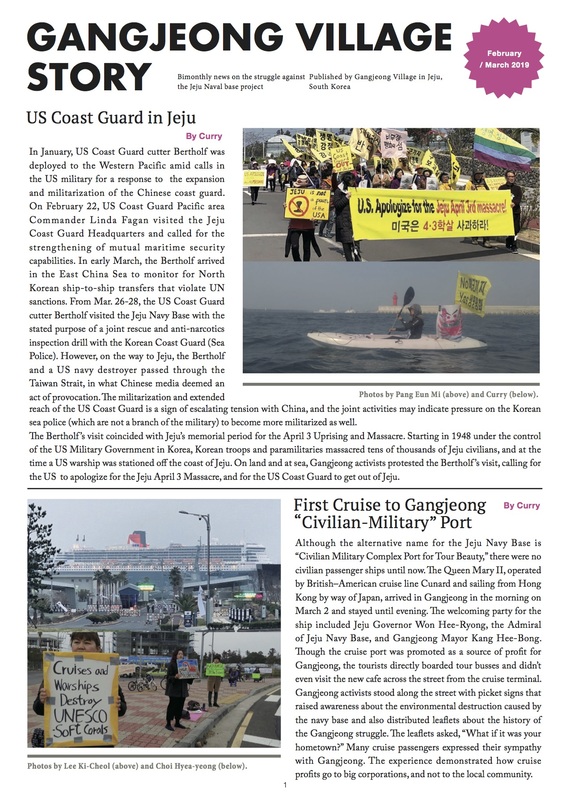 Hyun of Senior Citizen’s Committee of On-Pyeong-ri stated that he realizes how Gangjeong Naval Base project has brought internal communal conflict. He anticipates that if the airport construction were to begin, such discord will be “even greater than that of Gangjeong Naval Base situation.” Some even anticipate the backlash and protests themselves to be greater than those in Gangjeong if the airport construction were to really take action. Now, the truth of this whole situation has yet to come to the public limelight. Instead, we are left with these partial truths and blatant gaps of information to speculate and inspect. 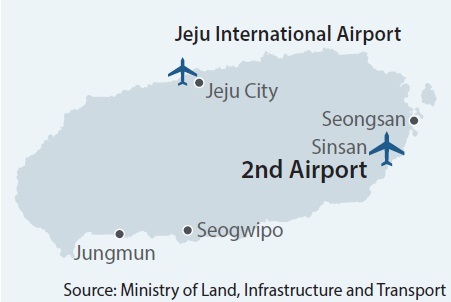 For one, what is the actual reason for building another, “complementary” airport in Jeju? 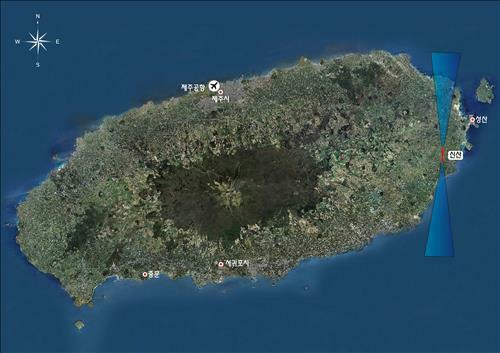 Is it really to accommodate the growing number of tourists to Jeju? Or is it to minimize environmental and social impact? Or is for military reasons, which some political activists argue, considering the naval base developments that was also established under the reasoning of tourism? Or is it just pure corporate greed? Other questions remain unanswered: Why On-Pyeong-ri instead of the Alddreu Airfield by Dae-jung that seems a lot more logical? Actually, why On-Pyeong-ri when the government claims that the airport will be built at Sin-San-ri? All these questions remain unanswered and definitely need to be addressed. But it’s already problematic that there are a slew of these questions even before the start of the constructions (slated to begin at 2018), revealing fundamental developmental issues in South Korea.